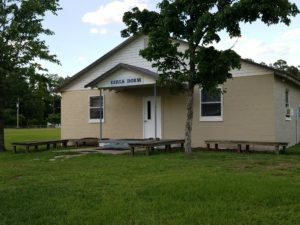 Roanoke Christian Camp is located at 389 Christian Service Camp Rd. Washington, N.C. 27889. Check out our facility descriptions below! If you would like to schedule an in-person tour of our camp, please email office@roanokechristiancamp.com or call 252-946-5329. Click below to learn about our facilities at Roanoke Christian Camp! 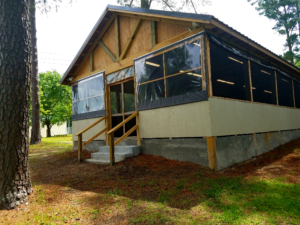 Our multipurpose building is a 6,600sqft building complete with four air-conditioned classrooms, a traversing rock wall, carpetball tables, basketball court with volleyball capabilities and a newly installed heater. This building can be rented out. Click this link for more information! 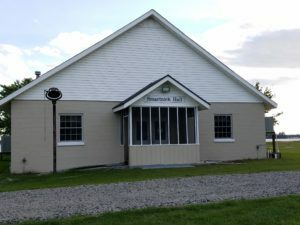 Smartnick Hall serves as our dining hall which seats 150. This building is complete with a sound system, two flat screen TVs and a commercial kitchen. Because of health code regulations, we are unable to rent out the kitchen. The Bonner Jackson Pavilion is appromiximately 1,800 sqft screened in pavilion complete with a stage, sound system and three flat screen monitors. It can seat 175. 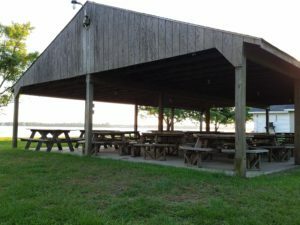 We have three picnic shelters built around the camp. These shelters are often used as outdoor classrooms, family reunions and church picnics! The shelters can be rented out. Click this link for more information! 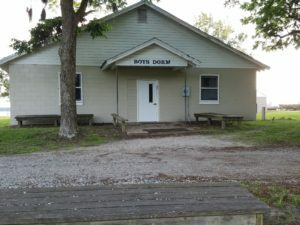 The Girls Dorm is where our girl campers stay during our summer camp sessions. It has 8 rooms with 80 beds. 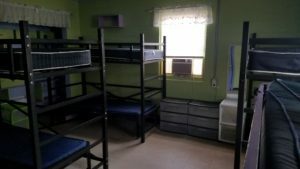 The Boys Dorm is where our boy campers sleep during our summer camp sessions. 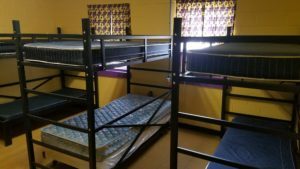 It has eight rooms with 80 beds. Our swimming pool is 1,800sqft and holds a capacity of 66,000 gallons of water! It ranges in depths of 3ft to 5.5ft. Our swimming pool is open during the months of June-September. This facility can be rented out. Click this link for more information! Our Archery facility is located in our newly acquired wooded area. Campers often have archery available as a recreation option during their session of camp. 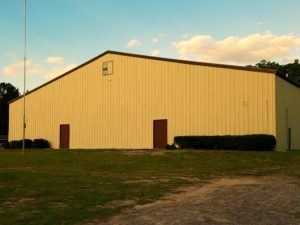 Rental groups can rent out our Archery Facility given that one of our instructors is available. Roanoke Christian Camp is located right on the Pamlico River. Campers enjoy swimming, kayaking, canoeing and other exciting activities in the river during our summer camp sessions.